Leaders of Pakistan, Russia, Tajikistan and Afganistan in Dushanbe. Central Asia Online (in Russian). In Tajikistan, festivities are already under way for Norouz- Iranian New Year. Although William Hague sent his best wishes on an online video, it’s likely that this will be overshadowed by Mahmoud Ahmadinijad’s personal visit this Saturday. This is sure to strengthen what are already strong relations between Iran and Tajikistan. Tajikistan, along with several other states of Central Asia and the Caucasus, are termed as ‘Greater Iran’ due to their common historical and cultural ties. Notwithstanding this, all of the contemporary states of ‘Greater Iran’ form part of the Economic Cooperation Organisation, a trade organisation comprising of some 400 million people which aims to create a single-market union much like the EU. Tehran- seat of the ECO’s headquarters- may be increasingly isolated in the West, but this certainly isn’t the case in Central Asia. It’s not hard to see why. 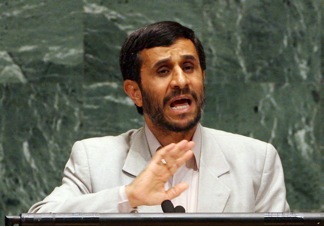 Capitalising on the USSR’s collapse in 1991, Iran made its interest in the region clear. It was one of the first countries to recognise the independence of the 5 ex-Soviet states that comprise Central Asia, and was the first state to establish an embassy in the Tajik capital of Dushanbe. 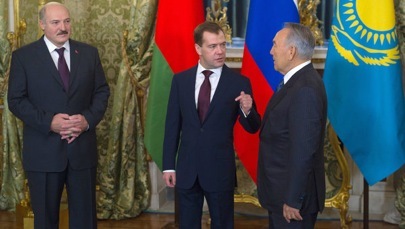 Leaders of Belarus, Russia and Kazakhstan at the Eurasian economic summit. RIA Novosti. Iran isn’t the only influence in the region. The USSR may be dead, but Russia’s influence is still very much alive. Incidentally the Presidents of Kazakhstan, Uzbekistan and Tajikistan were also the Presidents of the previous Soviet Republics. Just like in the Soviet era, Russian is the regional lingua franca. President-elect Vladimir Putin has his own visions for a Eurasian Union to be established by 2015. The Shanghai Cooperation Organisation- a security organisation- already exists and counts Russia, China and 4 of the 5 Central Asian Republics amongst its membership (Turkmenistan, the only state not a member, is still a ‘guest’). It’s worth wondering why the West is bothering. It seems axiomatic that the likes of Russia, Iran and China are better placed to vie for influence, rather than countries like Britain, which have few ties to the region. If indeed influence is a zero-sum affair, it’s hard to imagine any established regional influence loosening its grip over an increasingly important geopolitical region. This is already self-evident. The US, which maintains two bases in Central Asia, is acutely aware of its precariousness in the region, and consequently refrains from anything too recalcitrant- it hasn’t swayed from its stance that its forces will be withdrawn once Afghanistan is ‘stabilised.’ Interest in the region extends beyond military logistics. 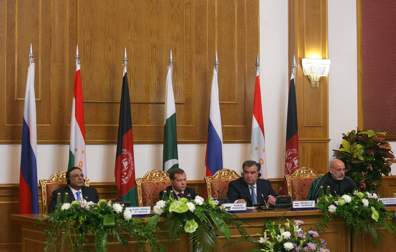 Afghanistan shares borders with Tajikistan, Uzbekistan and Turkmenistan, which makes their cooperation and ensuing stability priorities for policymakers in London and Washington. However, Britain faces an enormous stumbling block. Policy was turned upside-down when several regimes were overthrown last year during the Arab Spring. It, too, had been a region where stability was hitherto the main concern of policymakers. The West’s short-sightedness had created a democratic backwater which, once ignited, exploded. The parallels are astonishing. The tenure of the deposed Arab leaders was not measured in years, but decades. All had led authoritarian regimes with considerable presidential power, whilst justifying this with a vociferous anti-extremism rhetoric. Tajikistan, for example, is on the United States Commission on International Religious Freedom (USCIRF) placed it within a list of the world’s 16 worst abusers of religious freedom, and Tajik authorities have faced criticism for unjust convictions of so-called terrorists. More recently, Tajikistan temporarily blocked access to Facebook at the beginning of March. Tajikistan isn’t alone. Uzbekistan, Turkmenistan and Kazakhstan are all unfavourably mentioned by USCRIF. It’s not in Britain’s interest to condone this. Another regional upheaval would be incredibly destabilising, yet the lessons of the Arab Spring indicate that Britain can’t ignore these states in the naïve hope that conditions will remain effervescent until it’s convenient to demand change. Whilst unexpected and turbulent upheaval certainly isn’t something that would be good for Britain, it cannot realistically make demands in a region where parliamentary democracy is seen as a very foreign concept, for it is likely to further weaken its influence there. It cannot feasibly condemn the persecution of alleged terrorists, for Russia is a strong advocate of a hard-line approach as has been seen in Chechnya. Nor can Britain express concerns over the blocking of social media sites, as China is well-known for its stance regarding Facebook. Britain needs to be careful not to push Central Asian states closer to Tehran by dictating change in the region. Radio Netherlands Worldwide. Iran complicates things further. It has already been seen by some in the Middle East as an example of conservative Islamic government to follow. Given its ties to Central Asia- which are much stronger- political upheaval in the region could prove catastrophic if it resulted in the establishment of theocratic anti-Western governments based on the Iranian model. Britain cannot therefore continue to pressure Iran unless it secures more concrete support from China and Russia. Russia and China are not leviathans; eventually they, too, will lose their patience with Iran if it continues to isolate itself on the world stage, which would provide a relief for policymakers- for whom Iran is the immediate worry. A political relaxation in the region and a weaker Iran would allow politicians to voice stronger concerns over Central Asia without fear that it would push leaders towards Tehran. Stronger cooperation with countries like Britain may then appear more favourable to the leaders of the region as a way to remind Russia and China that influence is not a given. Britain and the West seem to acknowledge their limited ability to voice concerns in the region. However, it is in their interest to ensure that the failures of the Arab world are not repeated in another strategically important place.